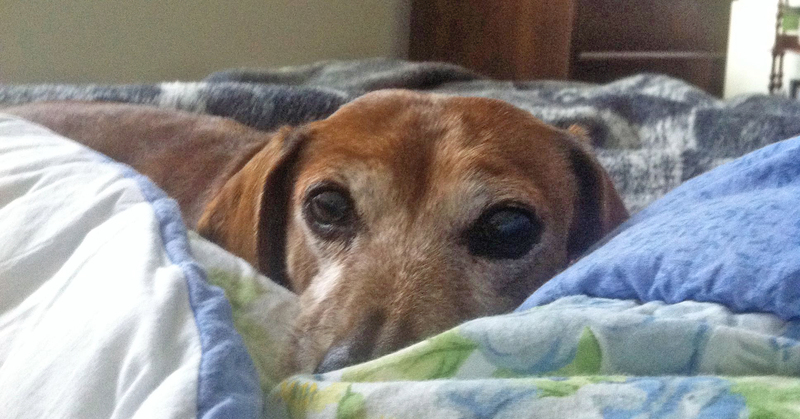 Jake watches his mom in bed. Two fabulous doctors have been watching over me this week. Well, Jake is the fully trained physician. Windy is an intern. Jake is attuned to people’s moods and physical states. When one of us is ill or upset, Jake goes into action. After a while, Windy steps in too. Now if I could get them to appreciate a clean house. Windy snuggles down to keep an eye on her mom. 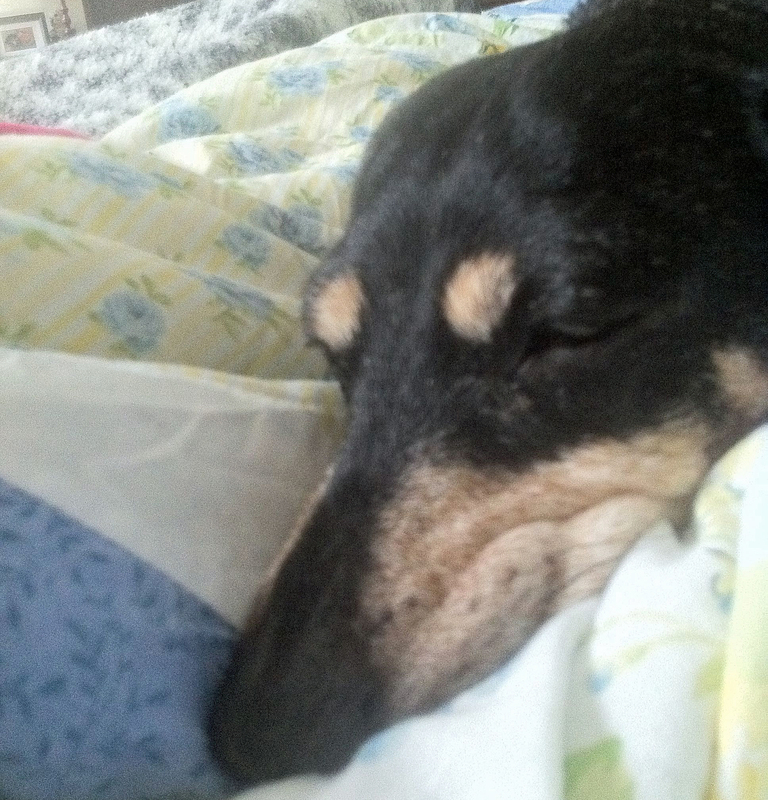 This entry was posted in Dachshunds, Dog Behavior and tagged Dachshunds, Dog Behavior. Bookmark the permalink.